I came out to fish the many small dams and reservoirs around the region and thus left my heavy camera gear at home. 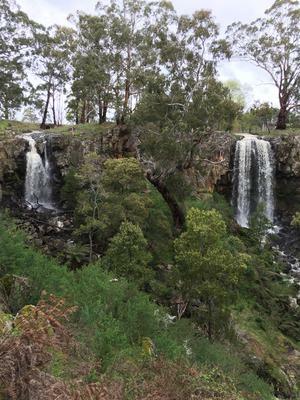 I stopped off at Sailors Falls on the way back to Melbourne and was delighted to see them in full flow. I say ‘them’ because there are actually two falls next to each other. Forgive me as they are only iPhone shots, but the recent heavy rains have brought a lot of damage too as the pathway access to the bottom of the falls was closed off.